Let’s face it, starting out as a beginner fisher is challenging as it is overwhelming. Especially if you have no prior knowledge about fishing. 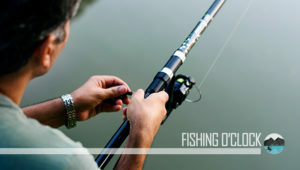 You find yourself wondering what type of fishing line is ideal for you or whether a fishing line’s quality is important. When you are a beginner, however, the most important thing you must know is which type of fishing line would be suitable for you. When shopping for your fishing gear, the different types, styles, and colors of fishing lines available can overwhelm you. But, you must keep in mind that all the money you’re spending on the gear could end up being of no use if you buy a wrong fishing line. Definitely, you need a high-quality fishing line that is suitable for your budget and intended fishing style. 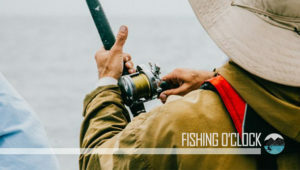 Remember that a fishing line is your connection to the fish you’re looking to catch, and when it fails, you go home with practically nothing. 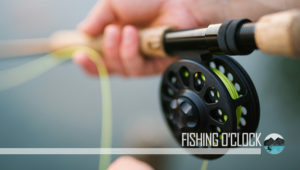 This article on monofilament vs fluorocarbon fishing lines aims to be your guiding light and help you choose the right type of fishing line. With the various types of fishing lines on the market, it is easy to get confused. 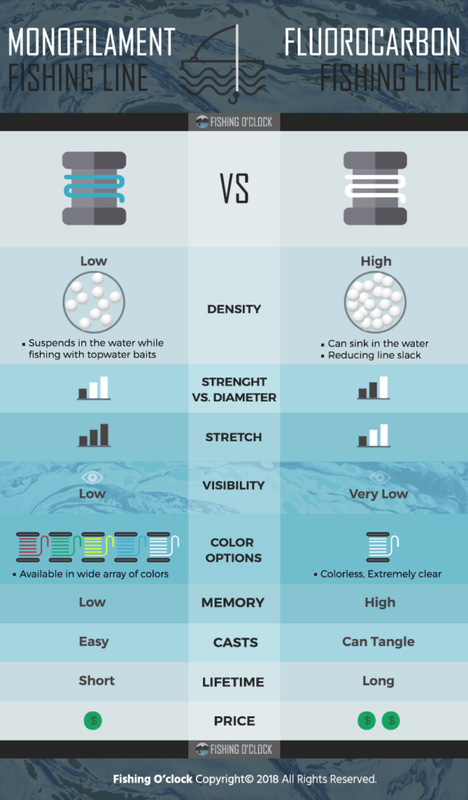 The monofilament and fluorocarbon types are the most popular types of fishing lines, and we will be comparing the two against each other here. Monofilament is the most popular fishing line in the world. For a lot of years, it was the dominant line in the fishing industry due to its cheapness, manageability, and effectiveness in most circumstances for the average angler. Naturally, the monofilament is buoyant and works well in fishing lures which need a fishing line to neither float nor sink, like hard jerk baits. It also works well in fishing top-water lures. Moreover, the monofilament fishing line has for some time been utilized for backing for fishing reels. With this, anglers are able to utilize branded and fluorocarbon lines and take advantage of their strength and sensitivity whilst not needing to utilize a whole spool and end up wasting money on spool line that is never used. Since a braided line is thin, the monofilament’s bottom layer helps to make sure that the brand won’t cause backlashes by digging into the spool. Monofilament is the ideal fishing line for beginners owing to its affordability and user-friendliness. For more information, read our detailed monofilament line buyer’s guide. Great knot strength; ideal for an extensive variety of common knots; easily castable and smooth; low visibility; great color retention; excellent abrasion resistance; economical price. Water absorption cause properties to change; great stretch; weakens from exposure to UV light; retains memory. Many decades ago, monoline was the dominant fishing line category by a wide margin; nowadays, it garners more than 33 percent of the entire market share. Mono is easy to utilize for a wide range of roles and with all types of reels. 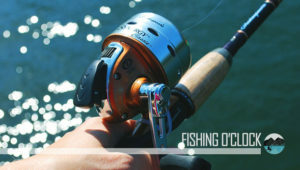 Its affordability compared to other fishing lines makes it a popular choice as well. If sensitivity and money aren’t a problem, most anglers prefer fluorocarbon fishing line to monoline in most scenarios. It was allegedly first utilized in the United States towards the end of the last century and it provides great abrasion resistance in covers such docks, wood, and rocks. Fluoro, as it is often referred to by many anglers, is a lot stiffer than monoline, which previously caused issues when tying knots or spooling lines onto reels. However, fluorocarbon today is almost as manageable and pliable as monolines but still conveys a much better lure feel. Fluorocarbon fishing line is the most preferred option for worm and jig anglers since its sensitivity is unmatched and the fishing line has an almost total invisibility inside the water. It permits a greater amount of light to go through it while mono has a tendency of refracting light, thereby alerting fishes that its present. Besides, this property makes fluorocarbon the ideal fishing line for fishing different types of crankbaits. The favorite fishing line of an angler is subjective. Selecting between monofilament and fluorocarbon usually boils down to individual inclination regarding budget and desired feel. Each fishing line has its advantages and disadvantages and the sure-fire way to determine which fishing line is suitable for you is by spending time and experimenting with each line. For more information, read our detailed fluorocarbon line buying guide. Very low visibility; sinks in the water; low stretch; outstanding abrasion resistance; doesn’t deteriorate from exposure to UV light; great knot strength; ideal for a wide range of fishing knots; no water absorption so properties don’t change. Stiffer than monofilament, particularly in greater strengths; more expensive than monofilament; sinking quality isn’t helpful in every angling situation. Making up more than a quarter of the industry, fluorocarbon shines in clear water fishing. Moreover, its greater durability and low stretch make it prevalent for cover fishing and hard hook sets. Most anglers looking to choose fluorocarbon lines have to be ready to manage a less full-spool material. Leading companies are working towards manufacturing a little less wiry full-spoon lines. While Monofilament and Fluorocarbon fishing lines are both very popular, they have a couple of dissimilarities. Are you trying to determine which one to buy between the two? Then you might want to pay more attention here. When compared to nylon monofilament line, Fluorocarbon type of fishing line has a very low visibility, and that is probably its selling point. Fluorocarbon has a light refractive index that is similar to that of freshwater. Simply put, fluorocarbon fishing line has lower visibility than monofilament fishing line when putting inside water. If you are still not convinced, you can carry out an experiment yourself. Take filaments of the same diameter of monofilament and fluorocarbon and put them in one glass of water. Now watch carefully to detect the transparency difference of the materials inside the water. When it comes to strength, there’re many dimensions to take into consideration. Fluorocarbon is a lot harder than monofilament in the short term. This leads to higher abrasion resistance that’s useful in circumstances fishing around enormous structures. Besides, most fluorocarbon lines have thinner diameters than monolines with equal breaking strength. Nevertheless, this varies from one company to another. Also, fluorocarbon is water resistant as well and consequently doesn’t absorb water all through. This may not appear like much big of a deal to you. People who know how much water monolines absorb can appreciate the water-resistance nature of fluorocarbon lines. The water absorption causes monolines to get weaker over time. Over the long haul, fluorocarbon is weather resistant also, something that can’t be said of monofilament. Ultimately, rain and humidity, UV rays, and severe temperatures (both cold and hot) are capable of causing monolines to lose strength. Meanwhile, fluorocarbon is a lot more resistant to these elements over the long haul. For the majority of us, these conditions are normal during a regular fishing day, which is why you must consider this factor when doing your shopping. On that note: since fluorocarbon lines don’t easily break down, you should please dispose of them with care. Any clipped off pieces that are thrown into the water will be there for a long time without breaking down. Fluorocarbon line has a greater density than water, which explains its sinking nature. While this is very vital for bottom feeder anglers, it is a real issue when drifting, skating flies, or bobber fishing. On the other hand, monofilament has a proneness to greater diameters. It also has an almost neutral buoyancy, which means it slowly sinks and consequently affects how profound your baits dive. This drawback, however, makes it a strong point when you want to set topwater lures or do bobber fishing. Most anglers know that monofilament material is fairly stretchy. Simply grasp the leader from each end, pull it, and watch it stretch. A particular degree of stretch helps absorb shock whilst trying to catch a fish. Less stretch causes higher sensitivity to detect the subtle takes. While fluorocarbon is believed to be less stretchy than most monolines, some manufacturers have refused to agree with this. Most anglers often overlook knotability when choosing a tippet or leader material. You must keep in mind that it is very vital. The knot is the weakest link always in your setup. It is therefore very important to select a material with great knotting properties. When it comes to knotability, the monofilament is superior by a wide margin since it is more flexible than fluorocarbon. As a result of this, the monofilament is usually the ideal option when fastening big game leaders that need very enormous diameter lines. Because of the inflexibility of fluorocarbon lines, knots don’t always seat easily and have to be forced into lying right. Take your time and be very careful when tying knots into fluorocarbon lines and make sure the knot is sitting properly to prevent knot breakage or slippage. As you can clearly see, there is no one-size-fits-all conclusion to the never-ending debate between monofilament and fluorocarbon fishing lines. There’re places and times where both lines can be utilized. Monofilament lines are cheap, reliable, and offer great shock absorption when used properly. Fluorocarbon fishing lines, on the other hand, have a greater density than monolines, sink a lot faster, and offer a better feel of your bait and deliver high abrasion resistance. Bear in mind that it’s a lot more difficult to tie a secure knot with fluorocarbon lines, particularly in bigger sizes, and they are more expensive than monofilament lines. Therefore, monofilament fishing lines are a great choice for an average user who is looking for overall usefulness, thriftiness, and reliability. However, you need to be aware of less density and more visibility in the water. This leads to the fishing ling getting suspended most times and general line weakness. The fluorocarbon line is stronger, practically invisible, and will eliminate density inefficiency, which makes it a better fishing line. Ultimately, there is no obvious winner between the two fishing lines, so base your choice on the fishing condition, fish type, and your budget when you are choosing the ideal fishing line for your needs. Of course, the debate on which one is better between monofilament vs fluorocarbon fishing lines will continue to rage on, but we are confident our article has given you some much-needed enlightenment.